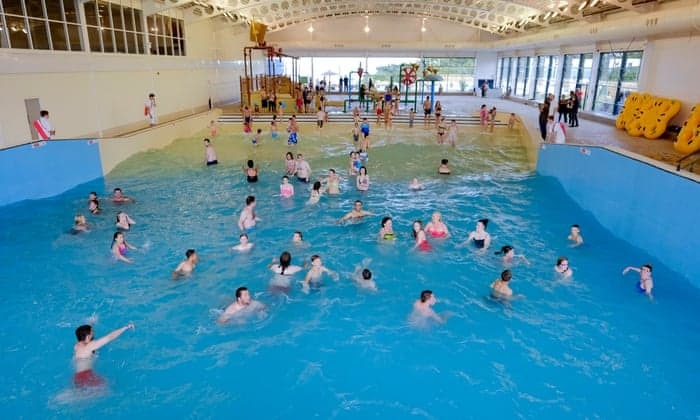 Alpamare Waterpark in Scarborough Review – We were in Scarborough recently staying at the lovely Crown Spa Hotel and took the opportunity to visit Alpamare. It opened in 2017 and we hadn’t yet got round to visiting, but have always wanted to. I’ve used press photos rather than my own for this review – as it’s awkward in a swimming pool to be taking photos if you don’t want to be arrested! 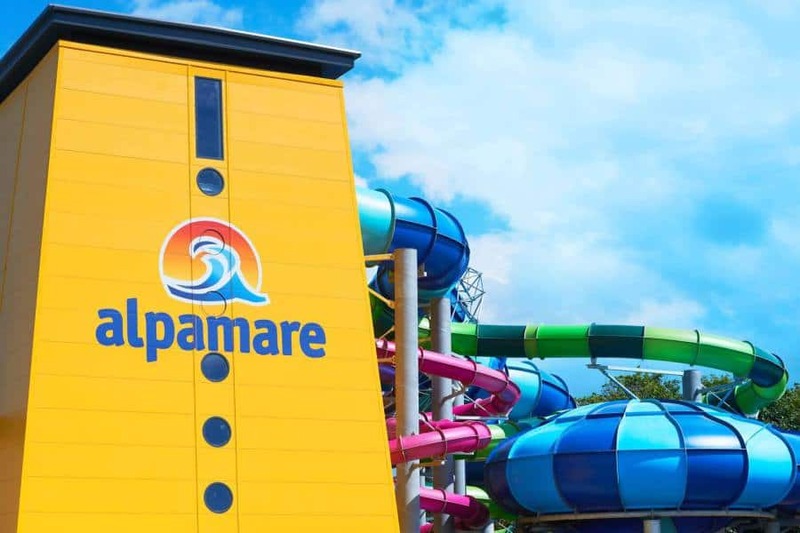 Alpamare is a large indoor and outdoor waterpark with some seriously impressive slides! On entering you are given electronic wristbands that you use on the lockers to open and pick them (so no desperately trying to find a one pound coin!). As well as using them in the lockers, they act as a contactless card when you are in the pool area. We were given a limit of £50 on the adults cards and £20 on the kids cards. Then you can buy food and drink easily without returning to the lockers for cash. Then when you leave you simply hand over your band and pay your tab – genius! There are individual and a few family changing cubicles within the unisex changing rooms. There are lots of free to use hairdryers there too for afterwards. There are two outdoor pools, a large one that you can enter from inside then wade your way out and a smaller infinity pool. We spent a lot of time in the larger pool that seemed warmer at a very pleasant 35 degrees. We visited on a cold wet and windy day in March but it was still toasty in there. There is a sun shelf and underwater seating that has bubbles in rotation. Back inside you will find the large wave pool. Waves come on every half hour. This is where we spent most of our time. 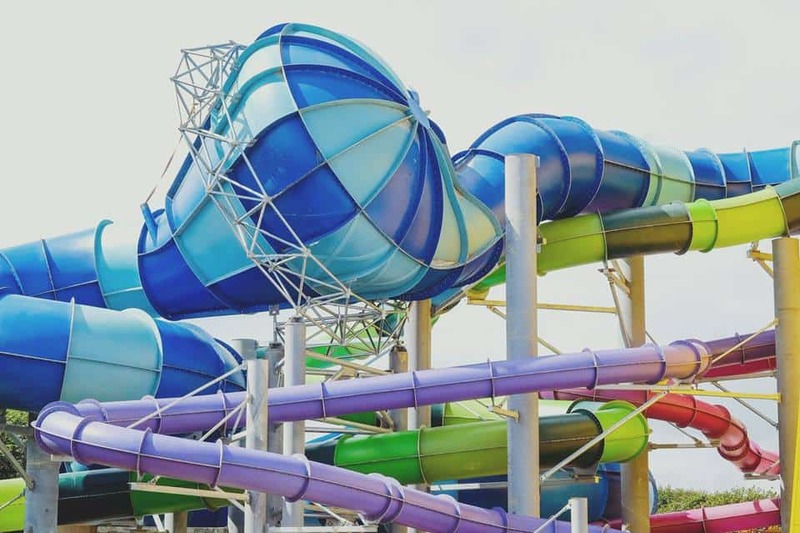 There is also a children’s water play area with small slides and s giant bucket that tips water out every so often (there is an alarm that goes off so you know it’s about to happen!). 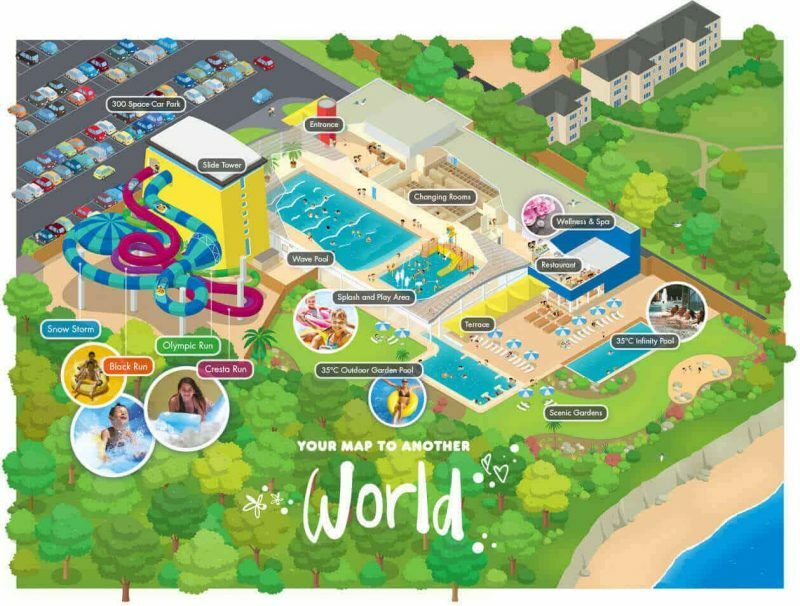 Finally the main event are the huge water slides. There are two aimed at age 6 and above and two aimed at age 8 and above. Two of the slides you use a mat to slide down on and the other two you use inflatable rafts. There is lounger seating around the kids play area and a large cafe area with tables and chairs. 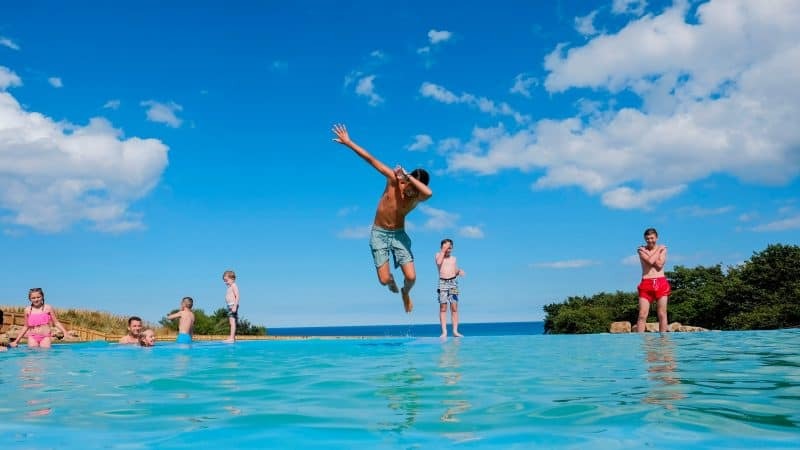 I think to get the best out of Alpamare, you need children that love waterslides (and ours refused to go on them!). I also think if you go in summer there are lots more lounging opportunities outside to really make the most of your time in there. Alpamare invited us to visit and review, as always all opinions expressed are my own. 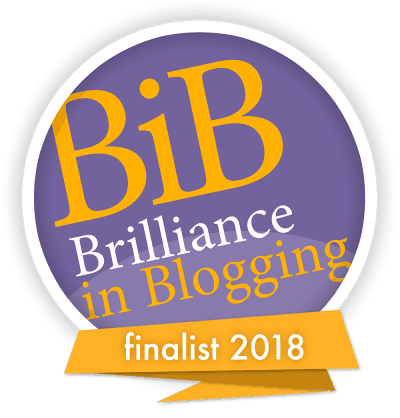 Yes, it was brilliant. Have a look at the one in Bridlington too – it’s smaller but some great slides for smaller ones.